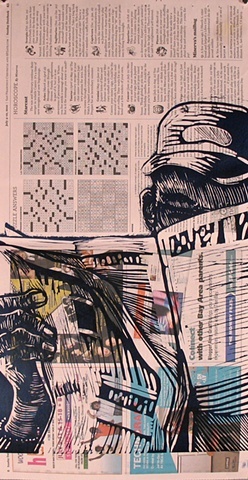 News Readers consider the changing state of newspapers. Printed on The Oakland Tribune, The San Francisco Chronicle and the New York Times, papers that I read, it chronicles a daily pastime. The ephemeral nature of the paper is like the stories within, becoming old, faded and forgotten.